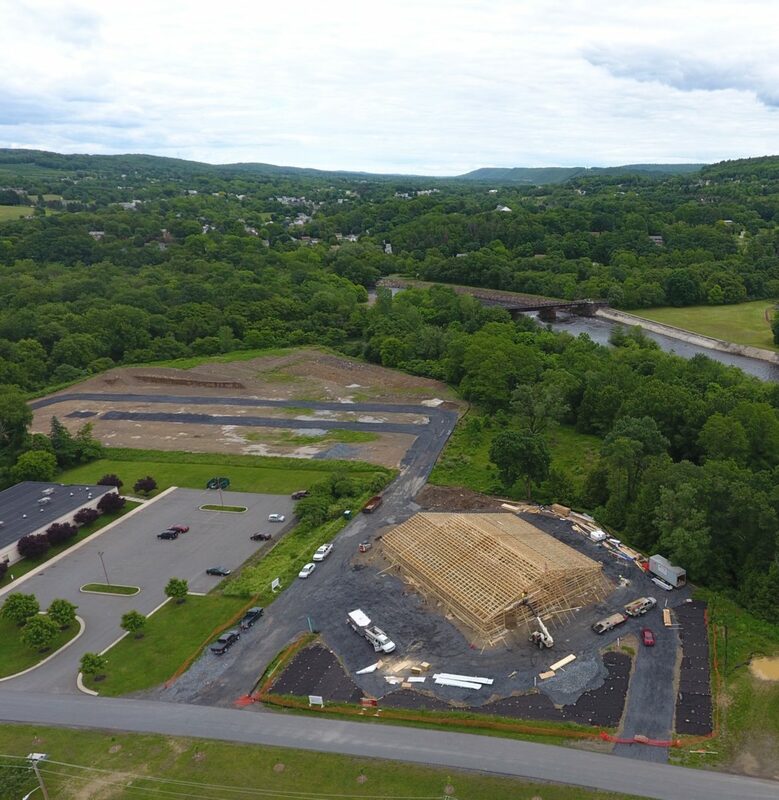 Congratulations to owner / developer / entrepreneur Jerry McAward on his development of the Lehighton Outdoor Center soon to be the new home of Jim Thorpe River Adventures, which is nearing completion. Set to open in April of 2018, it has been a long ride through the review and approval process for the planning of this project. Mr. McAward found came upon the perfect site for his rafting, biking and outdoor activity center in the downtown area of the Borough of Lehighton, Carbon County, along the main thoroughfare adjacent to the Lehigh River. However, the site came with some unique obstacles that he had to overcome. Jerry contacted Keystone Consulting Engineers in August of 2014 to assist him with the development and approval process for this project. Keystone Consulting Engineers reviewed Jerry ‘s intent to develop a 12, 000 sq. ft. Outdoor Center building and a 300+ space parking area on the 7.6-acre parcel. KCE recognized that the site needed approval from FEMA, Lehighton Borough Authority, Lehighton Power Co, Carbon County Planning Commission, Carbon County Conservation District (E&S and NPDES permits), Lehighton Zoning Hearing Board and Lehighton Planning and Borough Council. That’s a lot to overcome for a first-time developer. KCE expedited the applications for zoning and planning approval and obtained their approval in June of 2015. KCE then surveyed the project area and tied into FEMA benchmarks in order to determine the 100-year flood elevation of the Lehigh River and its impact to the project site. The design team at KCE the developed a plan to meet Jerry’s needs and respect the impacts of the 100-year flood plain elevation. Formal plans were then submitted to all the required agencies for their review and comment. Approvals then came through from Carbon County Planning, the Borough Planning Commission and Borough Council in February of 2016. A conditional letter of map amendment (CLOMR) was obtained from FEMA; a County Conservation District approval for E&S and NPDES along with DEP approvals were obtained. Construction commenced with the guidance of KCE’s surveyors and engineering staff for the facility in October of 2016. The construction is nearing completion and the facility is planned to be in operation for the 2018 season.